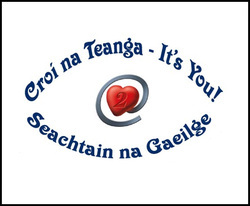 Seachtain na Gaeilge ran in our school from Monday 10th of March to Friday 14th. The Student Council organised this week. It was a very successful week and many activities were available for the whole student population. ‘Anagram an Lae’ was held each day. An Anagram is where you rearrange the spelling of a word, phrase or name. This was a huge success and we would like to thank the Irish teachers for their contribution for the preparation of the anagrams each day. We received an excellent feedback from all activities. The ‘Seisiúin Ceoil tradisiunta’ which showed the musical talents of students within the school this was held in the GP room on Friday at big break. Lá Glas took place also on Friday where students were asked to bring in €2 and wore green and orange for the day. The presentation of prizes took place on Friday there were fantastic prizes to be won and congratulations to all winners. In general though, it was a very enjoyable week and we would like to thank the student body for their participation in all activities and the support they showed throughout the week. Craoladh gearrscannáin Gaeilge ag am lóin i Seomra 15. Comórtas Ealaíne don chéad bhliain bunaithe ar seanfhocal ar bith a thaitníonn leis an dalta. Duaiseanna den scoth. Craoladh Ceol ó ‘Lurgan.beo’ roimh scoile ar an idirchum.Popamhráin aistrithe go Gaeilge ó Avici, Fun, Macklemore, Passenger, Bastille, Imagine Dragons agus araile. Ciorcal Comhrá: Tae, Caifé agus bríoscaí ar fáil gach lón ó a haon go dtí leathuair tar éis a haon sa chistin. Blag a scríobh ar thopaic áirithe. Lá Glas ar an 14ú Márta. Caith éadaí glasa agus labhair an teanga. Duaiseanna iontacha don fheisteas is fear.